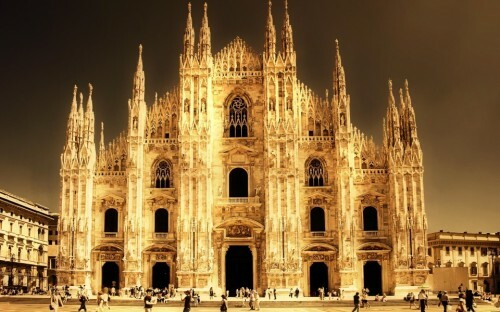 New Year sales in Italy: Milan from Prague for €24! Wizzair now offers cheap flights from the Czech Republic to Milan. Return flights from Prague to Milan Bergamo are available for only €24 / 658 CZK! To reach this low price, you must be member of Wizzair’s Wizz Discount Club which costs 29€ per year and gives you and 1 friend 10€ or more discount per each flight. This is really good investment if you travel at least two times per year with Wizzair. If you want to go in a 2 or more people, you will already save some money with this membership. You will also have to pack small hand luggage (42x32x25 cm) or pay few Euros extra for bigger one. You can visit two cities in one – of course Milan and also Bergamo, which is also beautiful small city close to the airport. Milan Bergamo airport is connected with buses with both cities which cost €2 respectively €5 for one way ride. Cheapest travel dates are in November and January but there are many more dates with good price. Milan has hundreds of hotels and hostels to offer with prices starting around €20 per person per night. Compare all booking sites at once with our accommodation search engine to find the best hotel deals. « Last minute flights to Dominican Republic: only €313!